Welcome to the MurthyForum! Anyone is free to view posts. Registered members of the community may post and respond to forum messages. All posts are moderated, so it will take time for your post to appear. This is a free service, proudly offered by the Murthy Law Firm. Discussion : Travel to the USA : Airlines, Customs, Baggage, Security etc. Discussion : Health Related Matters : Insurance, Health Care Providers, Pharmacy etc. Discussion : Obtaining Visas for Studying in the USA : F-1, J-1 etc. Discussion : Ways to obtain a green card without relying on family or employment, including: investors, diversity lottery, religious workers. Discussion : Non-Immigrant Issues and Family Members : F-2, H-4, L-2 etc. Discussion : INS Regulations, U.S. Dept of State, U.S. Dept of Labor, and Immigration Laws and Pending immigration reform legislation, including family unity and temporary worker programs. Discussion : Questions surrounding the Social Security Number (SSN) and card as well as the driver's license. 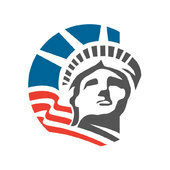 FAQs on the Murthy Law Firm - where we are located, who we are, and how to hire us for your immigration matter. The MurthyForum is a FREE bulletin board offered to the immigrant community and others seeking clarity on U.S. immigration laws. Real-time, online question-and-answer sessions with Attorney Sheela Murthy. 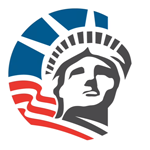 Weekly eNewsletter, delivered to tens of thousands of subscribers who need to know what is happening in U.S. immigration. Enter your description for the forum here.